Wayne is a Master Mariner (USCG 1,600 ton all Oceans Auxillary-Sail license), Rigger (master rigger of five Tall Ships) and Sailmaker (owner of Force 10 Sailmaking and Rigging) with 31 years in sail training. Twenty different schooners and square-riggers throughout the world have given Wayne a unique overview of on-the-water programs. Wayne and Marci did the first longboat programs for Jefferson County in 1993. Now settled onto Marrowstone Island, he spends time with the local high schools mentoring students in the way of the sea. He uses his degree in Marine Biology and a passion for the environment to educate youth in an eco-appropriate manner of going on the water. Wayne received the 2009 Peninsula Daily News/Jefferson Rotary award – Heart of Service Award for organizing the Voyaging Class/Community Boat Project. Simon de Voil received his Bachelors in Psychology in 1997 and for the next 15 years worked as a counsellor and project manager within small non-profits. His area of experience and speciality include: youth work, youth homelessness, men’s work, domestic violence & LGBT support. He has significant experience in therapeutic group work & has certificate qualifications in both counseling and skills training and assessment. Simon is also an ordained interfaith minister and a professional. He has training in traditional wooden boat building, with the specific aim of using his counseling and people skills to spark creativity. He strives for self-empowerment of the people he works with. Simon has a passion for working with people who find themselves on the margins of society. His manner of treating others with loving kindness and trust makes him an excellent role model as well as patient teacher. He is also an excellent musician and song-writer. It is this blend of boat building expertise, counseling skills, and music that make him such a powerful agent for change at the Community Boat Shop. 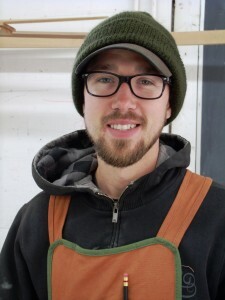 Simon is a 2007 graduate of the Northwest School of Wooden Boatbuilding where he focused on Traditional Small Craft construction. In her youth Nahja was raised in the world of maritime education, sail training and environmental programs. Now with her 100 ton captain’s license in hand she follows in her father’s footsteps working as a captain/educator for both PSV, CBP and the NW Maritime Center since 2008. She is also a professional Traditional Sailmaker and Rigger, and is working towards getting a Career and Technical Education Teaching Certificate. The recipient of the Wooden Boat Foundation Award for Lifetime Achievement in Wooden Boat Community Spirit and Culture, in 2008 American Red Cross “Hero” Award recipient for, “25 years of saving young peoples lives through educational excellence”. In 2015 she was awarded “Teacher of the Year” from Washington State Alternative Learning Association. Marci is an extraordinary teacher who received her teacher’s credential in 1971. She founded Quimper Academy in 1982 and co-founded PI (Partners In Education) in 1986, a ground-breaking approach to alternative schooling within the Chimacum School system. In 1994 she began ICE (Individualized Choice Education) another alternative program this one with the Port Townsend school district. Next she co-founded Puget Sound Explorers, an accredited on-the-water adventure class in partnership with the Wooden Boat Foundation (1995). In 2003, she began the PI String Orchestra, in partnership with the Turtle Bluff Orchestra and Andy Mackie Foundation. Now in 2008 she is co-facilitating the “Voyaging” program a partnership of PI, ICE, and the Northwest School of Wooden Boatbuilding. Marci has the uncanny ability to unearth a student’s latent passion and ignite it into educational excellence. She is exceptional at building partnerships that create innovative opportunities for youth to succeed. Christina was born in Central Florida and moved to Port Townsend when her partner attended the Boat School in 2013. After graduation, they decided to stay in the area after falling in the love with the community and environment of the Olympic Peninsula. They now enjoy Virginia, their traditional gaff rig cutter built by the School in 1981. Christina has a Bachelor of Science degree in Molecular and Microbiology from the University of Central Florida. Roz grew up in Port Hadlock, WA and learned first-hand how effective the CBP’s programs really are. As an alum of both the Voyaging and Boatbuilding program, they are excited to be involved at the CBP and try to bring a ray of perfect sunshine to Upper Lower Hadlock all year round. “Shipshape Shelly” brings a maritime studies degree and a lifetime of boating experience to her skillset of promotions, fundraising and making connections. She was raised on the shores of Puget Sound and graduated from the all-women’s Smith College, spending a semester at Mystic Seaport (with honors in chantey singing!). She spent two seasons as an educator aboard tall ships: the schooner SoundWaters in Long Island Sound and the schooner Adventuress in Puget Sound (sailing with Capt. Wayne, many years ago). Landing in Port Townsend as a young adult, she worked as a lifeguard, newspaper reporter, publicist and fundraiser, before starting her own communications consultancy. Shelly is very familiar with the local nonprofit community, assisting with the start-up of the Jefferson Community Foundation and serving on the steering committee for the Fund for Women and Girls for its first four years. She also knows local politics, providing leadership on recent city and school bond campaigns and supporting her husband Jeff’s election to our Public Utility District. For their civic work, Shelly and Jeff were nominated for the Chamber’s Citizen of the Year award in 2016. These days she is teaching her son to sail and pursuing interests in financial planning and literacy. Empowering women and girls through the Felicity Ann boat project is a perfect fit for her. 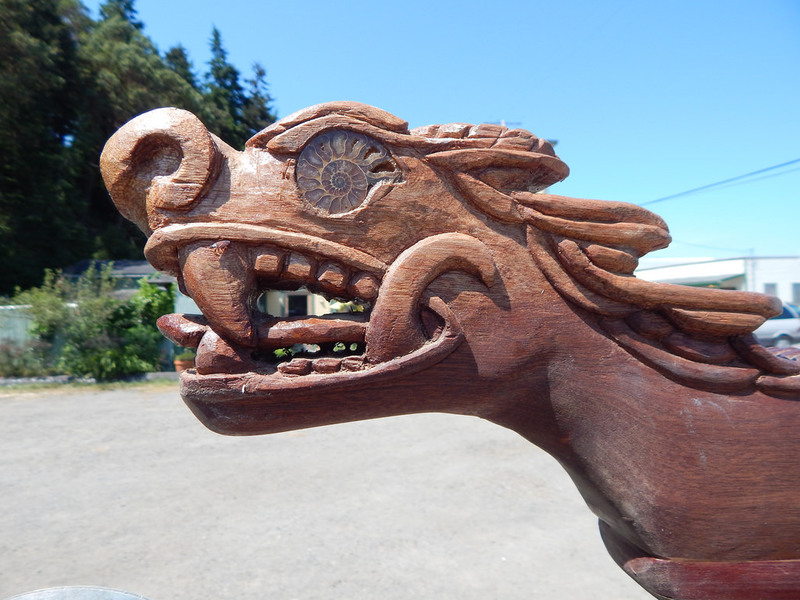 Steve is a graduate of the 2014 Traditional Large Craft program at the Northwest School of Wooden Boatbuilding. Steve moved from Colorado where he was detective for many years and enjoys building his own Scamp boat and learning how to sail with his wife Sue.